This discussion will help you set clear goals and give the basic idea of your future app. It is important to consider your monetization strategy first for sketching out design accordingly. The best monetization strategy these days is a freemium app followed by a purchase for premium options. There is a reason behind this approach. Users stand a chance to try your app first and pay later on; driving more engagement and conversions in comparison to a paid app. An in-app advertisement is also an option but that trend is no longer popular. Users find it annoying when they are bombarded with several advertisements while they are using your app. Only 8% of the developers recommend this option for monetization. The best option is to develop an unresisting design and features for your app so that users give in to opt for its premium version. The next step for building a great app is to determine upon its software requirements. While determining this, consider future requirements in mind. At present, one may wish to build an app on Android platform but later need an iOS version of the app or vice versa. So, one must build an app that is flexible for future upgrades as well. Marketing an app is equally important as its development process. What if your app is great to use and serve its required purpose on point but nobody knows about it? Continuous marketing efforts will help your business and app survive in the competition. Also, important is the App Store Optimization or ASO for making it discoverable in the app store. A large number of apps fail due to the reason that they have not been maintained with the changing needs and trends. Have you ever noticed how frequently Facebook keeps on adding new features to its app? Changing security requirements, updates to operating systems and changing user needs are the factors to keep in mind. A successful mobile app requires several efforts from a proper planning to its continuous maintenance. What’s your take on these steps? Do you find them important for an app development process? Mention your thoughts in the comment section. Newer What Should You Take Care While Creating App Design? 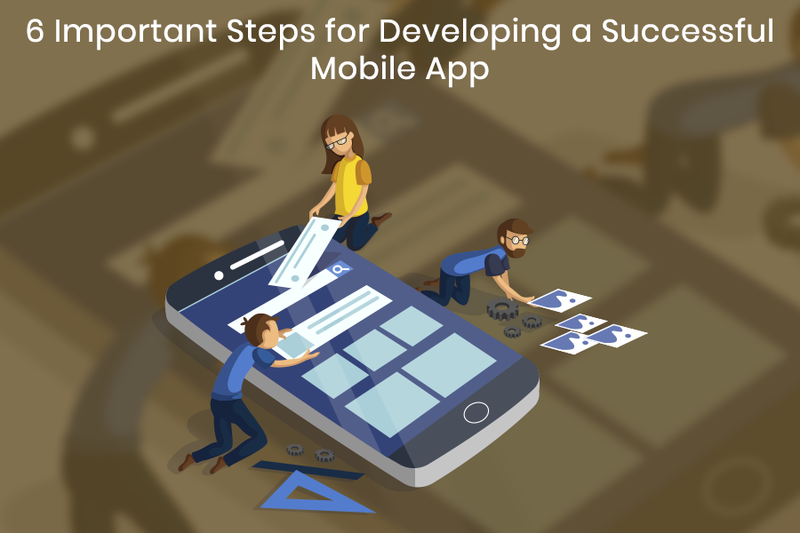 Thank You for sharing 6 Important Steps for Developing a Successful Mobile App. Thanks for spotting and commenting.